Your team dashboard gives you multiple ways of checking on the progress of your team members, depending on the granularity of the data you'd like to review. On a high-level, you can see a list of all your team members and their respective progress in the Members tab of your team dashboard. 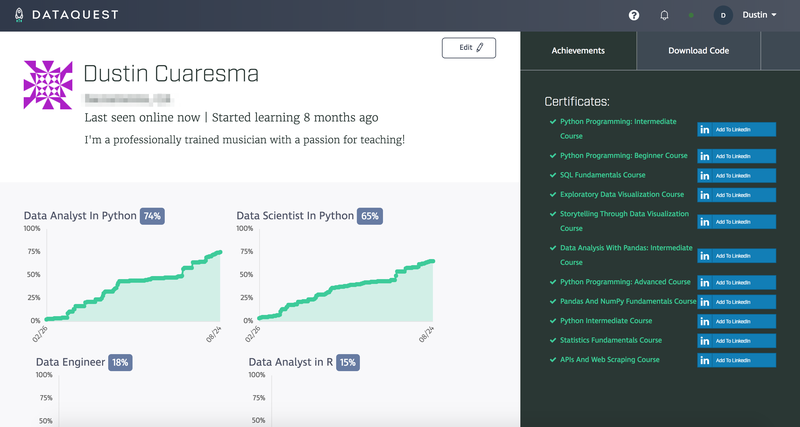 You can click on each member's icon to navigate to get to their profile page, where you can see a useful visualization of their progress over time, in addition to a list of the certificates they've earned (i.e. the courses they've completed). What if I need something a bit more detailed? 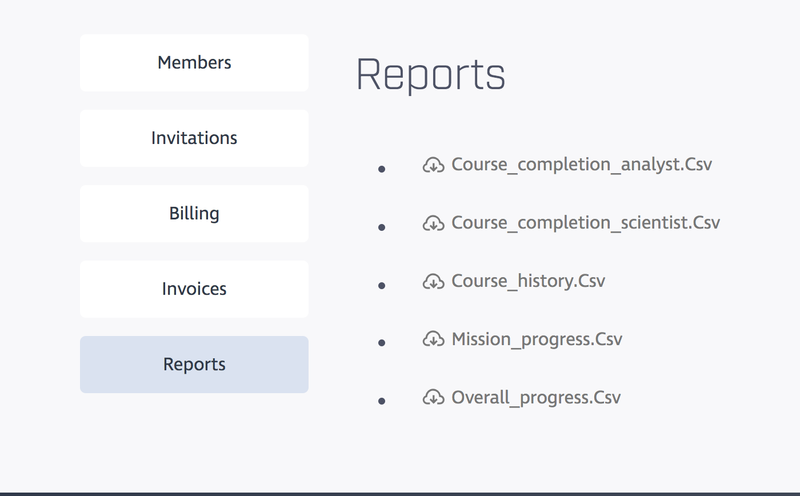 We issue a number of .csv files in the Reports tab of your dashboard which drill down into the progress of each of your students. These reports are generated weekly, so you likely won't see anything for a couple of weeks when your team first gets started. If you'd like to get a preview of what info each .csv file contains, feel free to download some sample reports, here.